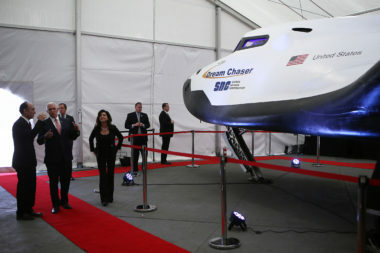 COLORADO SPRINGS — Last year, Sierra Nevada Corp. brought a full-scale prototype of its Dream Chaser spaceplane to Space Symposium giving thousands of attendees — including U.S. Vice President Mike Pence — a chance to get up close and personal with the engineering test article. 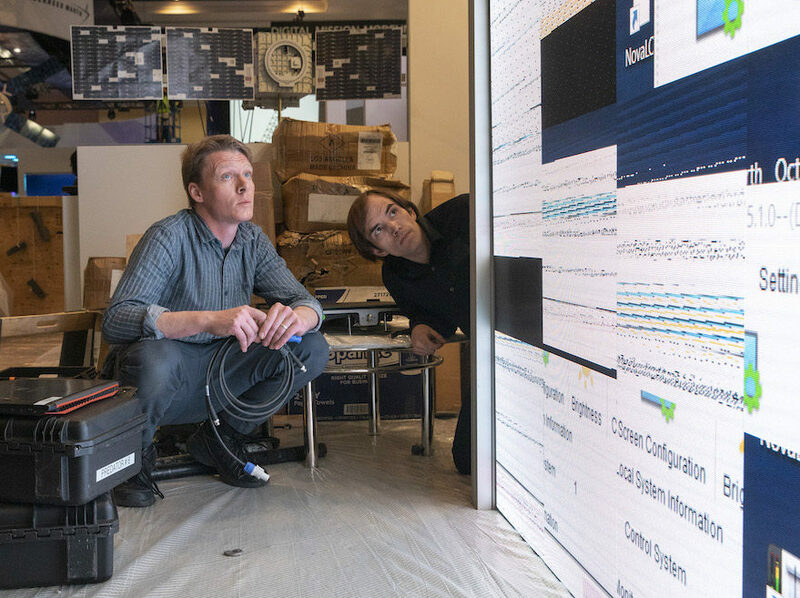 At 2017’s Space Symposium, it was Jeff Bezos and Blue Origin who stole the spotlight by bringing its New Shepard reusable booster and crew capsule to the Broadmoor Hotel. 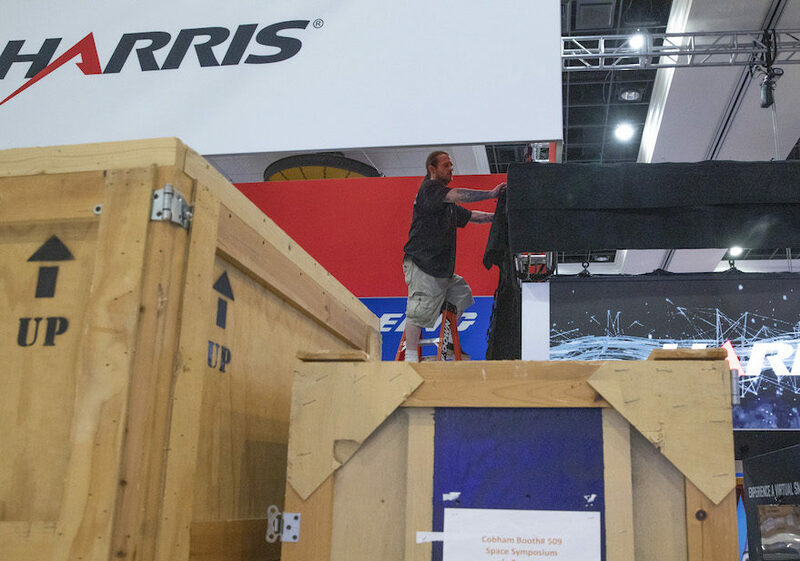 In addition to more than 200 exhibitors spread over two exhibit halls, Aerojet Rocketdyne, Lockheed Martin and Virgin Galactic have brought along full-scale space hardware this year for outdoor display during the show. 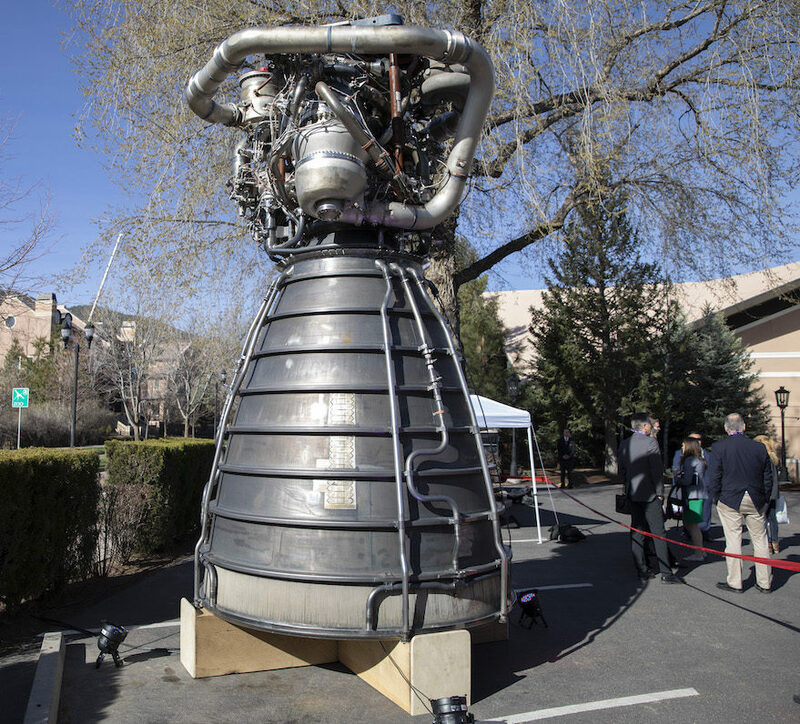 The RS-25, evolved from the Space Shuttle Main Engine that powered 135 shuttle flights, is located outside the Broadmoor’s Golden Bee. Four RS-25 engines located at the bottom of the Space Launch System core stage will power NASA’s heavy-lift rocket on its eight-and-a-half-minute climb to space with more than 2 million pounds of thrust. A derivative of the engine will also serve as the main propulsion system for Boeing and DARPA’s Phantom Express experimental spaceplane. As a part of NASA’s Next Space Technologies for Exploration Partnerships program, Lockheed Martin is studying the capabilities needed to support human pioneering in deep space. Lockheed Martin is setting up a full-scale lunar habitat on Summit Circle. 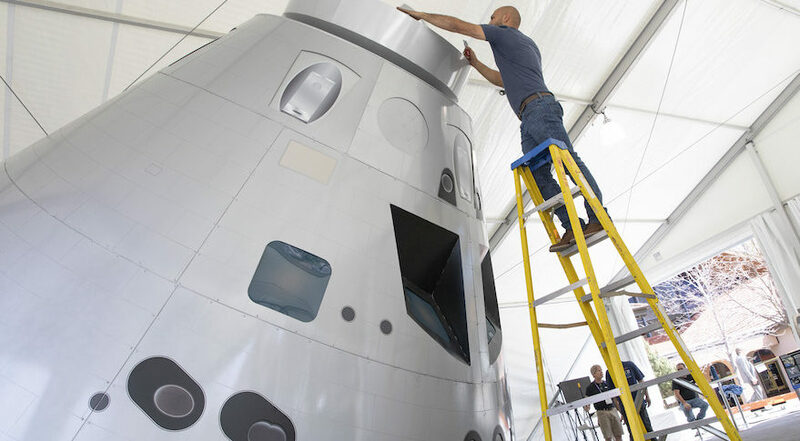 It’s is also displaying a mock-up of the Orion deep space capsule it is building for NASA. Designed and built by The Spaceship Company for sister spaceline operator Virgin Galactic, the HTPB rubber/nitrous oxide-fueled hybrid rocket motor propulsion system has powered Virgin’s SpaceShipTwo suborbital spaceplane to almost 90,000 meters at speeds exceeding Mach 3.0. The rocket motor on display near the Broadmoor’s Lakeside Terrace was used to power VSS Unity on its second, partial duration powered flight in May 2018, achieving an altitude of 34,900 meters and a speed of Mach 1.9. The fully qualified motor is in production in Mojave, California, for use on future test and commercial spaceflights.